We recently went one-on-one with iPads in our third grade classrooms. Most of our ELA and small group assignments are in Google classroom because we do not use textbooks for ELA.It is imperative that all of the iPads are fully charged and ready to use on a daily basis. Our charging area has been a hot mess- with wires and power strips everywhere. I couldn't stand the khaos and the children often ended up with dead iPads. The 6 port charger has been a God-send. We love having an organized and simple iPad charging station. 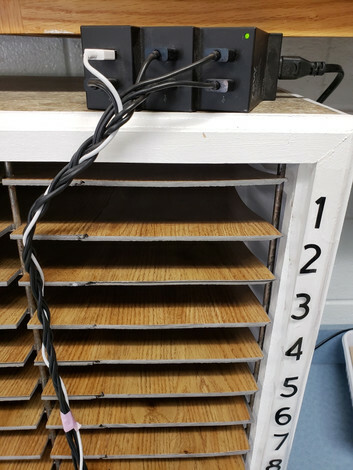 I can't wait to get another charger and decrease the amount of shuffling and rearranging to make sure everyone has a charged iPad for classroom instruction each day. We are SO appreciative for your generosity! 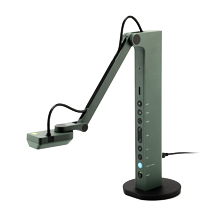 We love IPEVO!!!!!!!! The wish was originally made on Jan 2, 2019.